Well I jumped into the deep end of the pool. 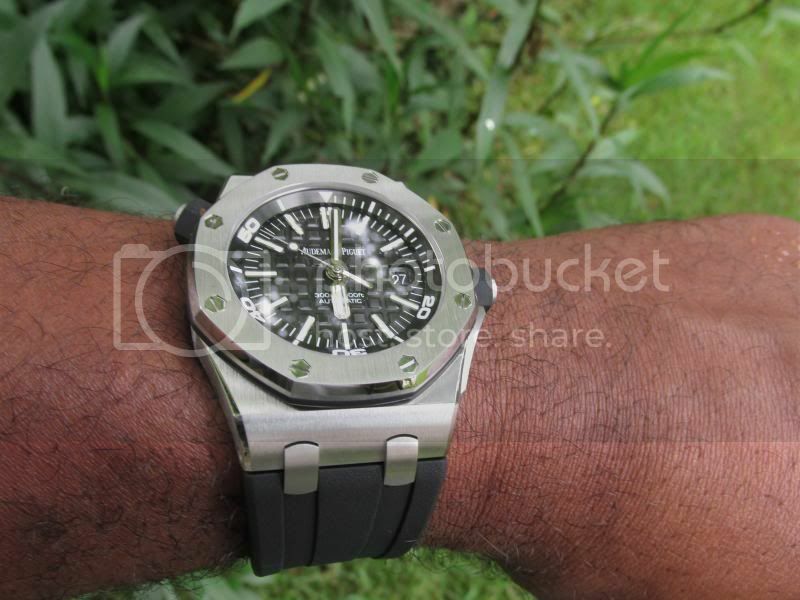 Got my first AP, the ROO Diver. First a huge shoutout to those who sent informative pms and posted their pics here on the TZ forum. A special thanks goes out to George M. of Govberg Jewelers, one of our sponsors. I can tell you, his efforts far exceeded his brilliant reputation. I started this hobby never in my wildest dreams thinking I'd own such a nice piece from a storied brand. 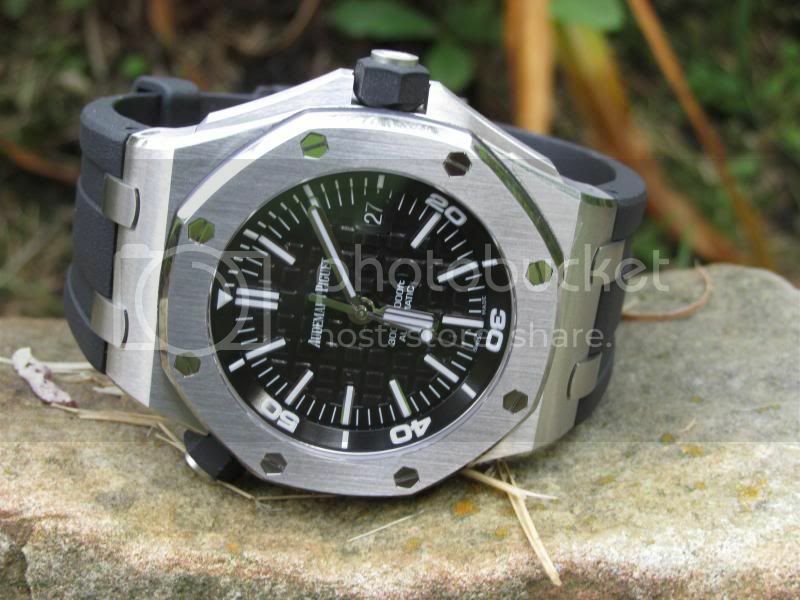 My wife and I have travelled quite a bit over the past seven years and I've often found myself ogling the AP brand. I presently have Panerai, Omega, Breitling x3, and Rolex in the rotation and suspect it'll be a while before they get any wrist time. 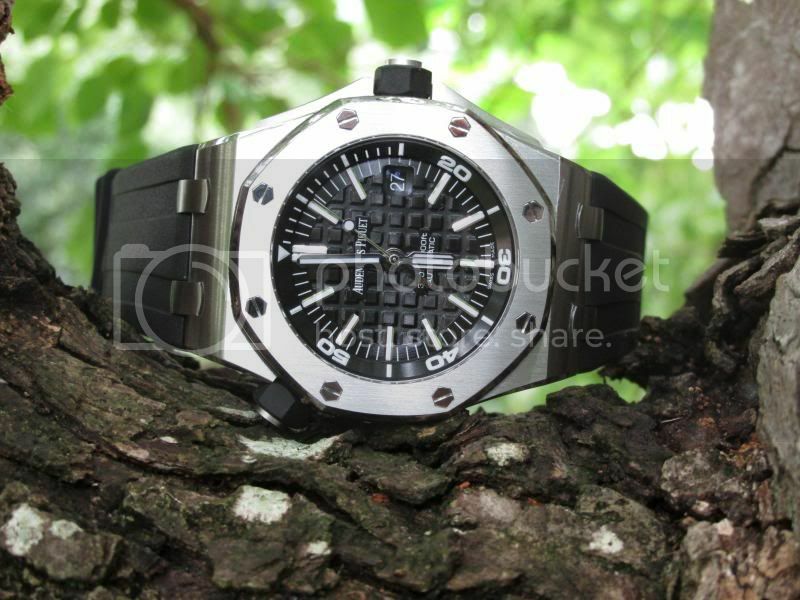 Last year my wife asked, If I could get my ultimate watch what would it be. 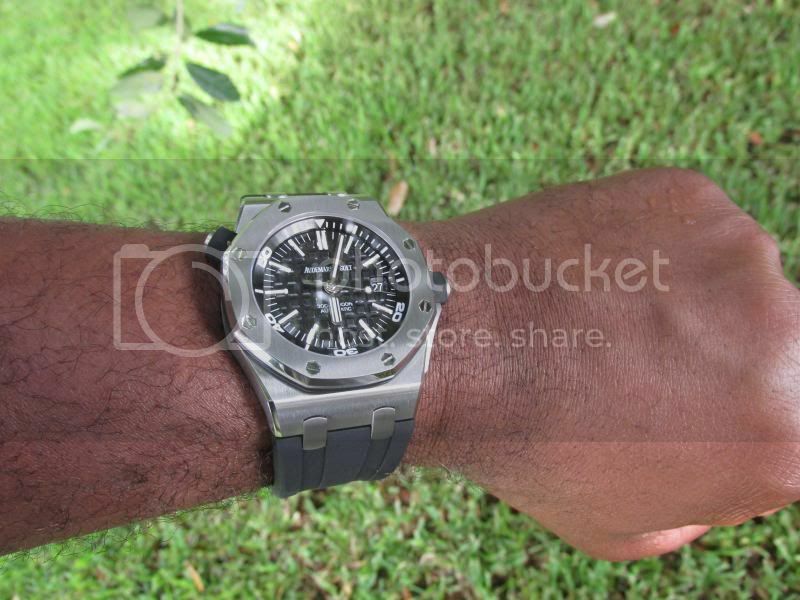 I said the AP ROO Diver. She just said ok and left it at that. 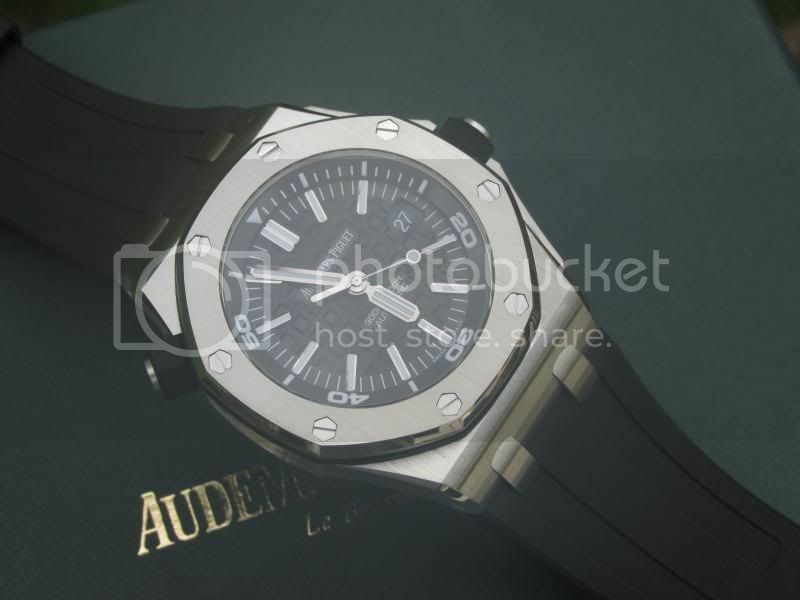 Then we were on vacation in London and stopped by Harrods for a look around and she spotted the AP ROO Safari and said why not go for that one. I laughed it off because I thought she was just pulling my WIS chain. Fast forward to this June, while on vacation in Tenerife I got a chance to see the ROO Diver, and as I was checking it out in the window, a guy comes up wearing the exact watch. We chatted for a moment, comparing watches, I had my Pam 104 on, and my wife thought the watch looked great. Well a few weeks ago she said ok and authorized the purchase.LOL I have the greatest wife in the world. She's allowed me to enjoy this hobby and has fully embraced my passion for watches. Now for a few pics. Again thanks TZ community. 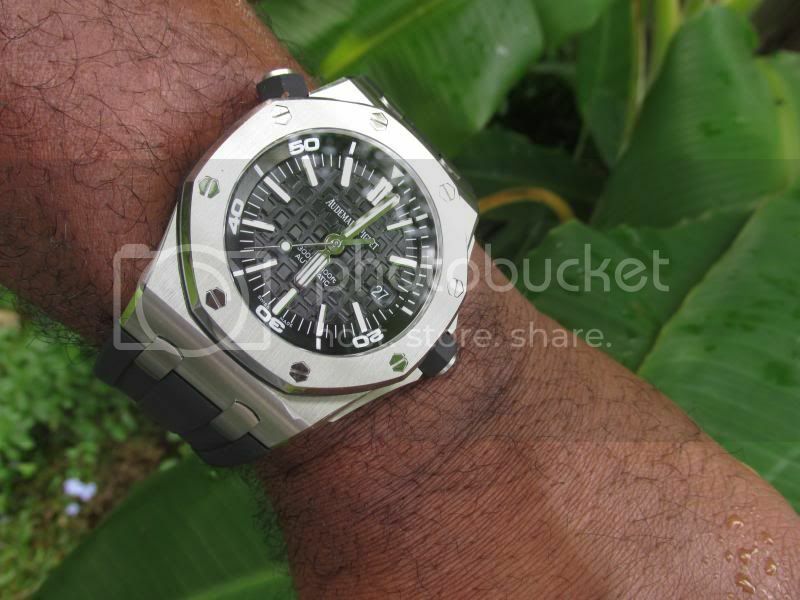 The fit and comfort is absolutely fabulous on the wrist. Next Topic: Want to get a new strap.